Tributes pour in for Archbishop Stylianos Harkianakis, who died this week. Tributes are flowing about the most senior Greek Orthodox leader in Australia, Archbishop Stylianos Harkianakis, who died on Monday evening, aged 83. Harkianakis played a key role in the expansion of the Greek Orthodox Church in Australia throughout his 44 years of service. He founded St Andrew’s Greek Orthodox Theological College in Sydney to provide tertiary-level training for members of Christian Orthodox churches. “Above all else, Archbishop Stylianos was deeply moved by the human condition. He loved the human person as the icon of God and showed genuine interest in understanding and empathising with the suffering people from all walks of life,” the release continued. Also noted was the love that Harkianakis had “for everything that is Australia from the natural beauty of the land to the spirituality of its Aboriginal peoples to the strength of its modern democracy.” The Archbishop also had been able to express this love in his published poetry. Saddened to hear of the passing of His Eminence Archbishop Stylianos Harkianakis, Primate of the Greek Orthodox Church in Australia. His distinguished service and leadership to the Greek Australian community will be greatly missed. May he Rest In Peace. 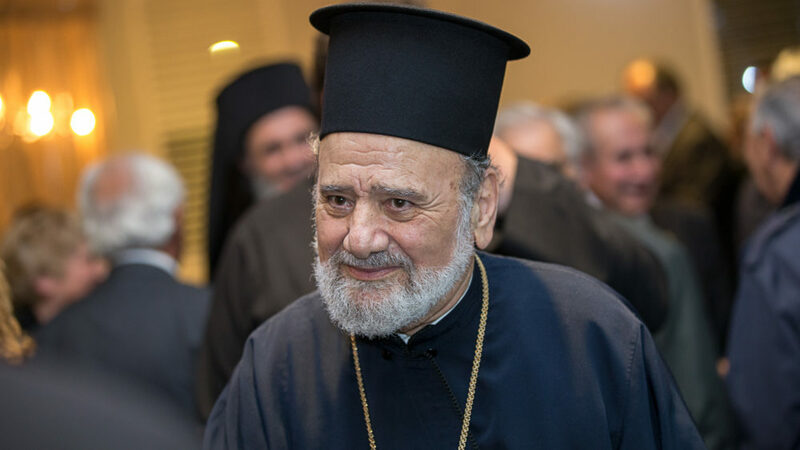 The funeral for Archbishop Stylianos will be held this Saturday, March 30 at the Cathedral of the “The Annunciation of our Lord” in Redfern, Sydney.